Class 6 entered a video competition as part of Safer Internet Day. They won a trophy and a laptop! Awards were presented during a live streaming event at C2K Television Studios. Class 6 learned 'not to share their personal information with strangers online'. 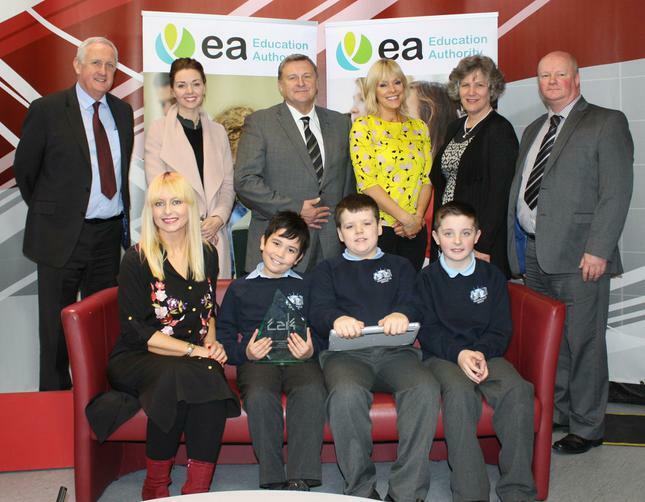 The competition was judged by a panel of experts from C2K,EA T.V., UK Safer Internet Centre, NI Anti Bullying Forum, NSPCC and SBNI. The event was hosted by Emma Louise Johnston (presenter), EA Director of Education John Collings and a representative from UK Safer Internet Centre.